We pay top prices for gold and silver bullion. From large quantities to small pieces of broken jewelry, to gold and silver coins or bullion with full transparency and integrity. The allure of gold is as old as civilization itself. Many forms of currency have been used over the years as a store of wealth and means of exchange, including livestock, tobacco, various precious metals, and paper currencies backed by the governments that issued them. But across the span of history, nothing has been as enduring and universally accepted as gold. Gold is widely recognized as an excellent investment, a safe-haven against inflation, a weakening U.S. Dollar and geopolitical uncertainty. Silver has been man’s primary monetary metal throughout history. Today silver is most commonly used as an industrial commodity. Industrial demand for silver has consistently grown over the last 50 years because of silver’s many unique properties, including its electrical and thermal conductivity, strength, malleability and its ability to endure extreme temperature changes. Far more rare than gold, it is estimated that all of the platinum ever mined would fit into a cube less than 25 feet on each side. More than half of all platinum is used in the automotive industry to control vehicle exhaust emissions but it has a host of other uses including high-end jewelry production. Palladium is one of the platinum group metals and is used extensively as a key component in the manufacturing of catalytic converters. 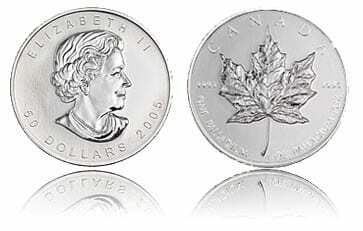 Palladium is also one of the three most used metals (along with nickel and silver) which can be alloyed with gold to produce “white gold.” The Royal Canadian Mint released the $50 Palladium Maple Leaf in 2005 which is currently the most popular palladium coinage. Dallas Gold & Silver Exchange is a Platinum Dealer for W.R. Case & Sons Cutlery Co., makers of premium American-crafted knives since 1889. We also carry the distinctive new Case line of Southern Grind knives designed by country music star Zac Brown.